This plot graph is presented in landscape view. This worksheet has a staircase pattern that moves from the bottom left to the upper right of the paper. 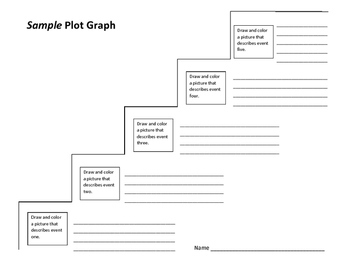 Beginning at the bottom left of the page, students will number each major event in the literary work and write a short description of the event. Lines are provided for each event. Students will also draw a picture of each event. I enjoy having students draw and color their art. There is enough space for students to list five major events. 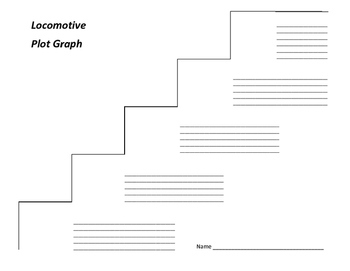 This worksheet is one page; however, there are three different copies. Each copy has different line spacing to accommodate the different level of writers (or penmanship). The spacing ranges from single space, space and a half, and double space. The lined space for the fifth event is limited. This simply forces students to be selective with their words when they write their short description. I also provided a copy of one template that indicates where the pictures should be written. There are no text boxes for the pictures. This allows students to use more space when drawing/coloring pictures. I like this activity because students get to choose events they feel are most important in the literary work and standout to them. I like to have students present their work to the class, or I will post student work in the classroom and have a gallery walk-through. I receive a range of quality in the drawings. Some students draw stick figures, and other students draw way better than I dream of! The item I emphasize is getting the major events correct and listing them in chronological order. 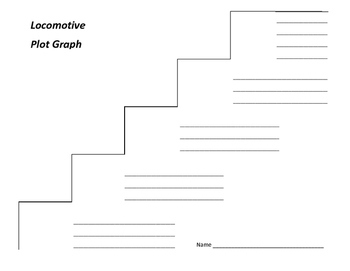 I usually have students draw the staircase template on a piece of notebook paper and use this platform as a rough draft. Once I review their rough draft, I hand them a worksheet so they can produce a final copy.